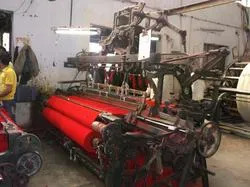 Established in the year 1991, in Panipat, (Haryana, India), “National Woollen & Finishers” is one of the renowned names engaged in manufacturing and exporting a startling collection of Woollen Products such as Blankets, Rugs, Blazer, Woollen Products, Tennis Ball Felt, Compressed Woollen Felt, Fabrics, Industrial Fabrics, Prayer Carpets and Melton Cloth. Fabricated using the best quality raw material as per the international quality criteria, the offered range is valued for its designs, quality and durability. 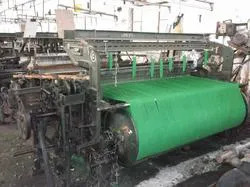 Our team-mates have vast knowledge in the field of weaving, dyeing and finishing, which assists us in providing our clients with the best grade of products at a minimum cost. Our state-of-the-art infrastructure facility has been a key player in our areas of activities for almost three decades. With continuous R&D, we are been able to develop our existing products as well as manufacture new products. The consistent up gradation of the infrastructure has also assisted us in the flawless production of our products. 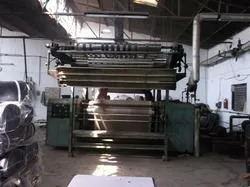 National Woollen & Finishers mission is to provide a quality product at a reasonable price while continuing to strengthen relationships with our buyer. All our Woollen Products are manufactured in compliance with international standards of quality. To assure this, every product is tested on each level of production at our in-house testing unit. Our quality controllers ensure that the offered range is imbibed with quality and is free from any faults. To offer a flawless collection of products to our clients, our team-mates make a productive contribution. It is due to their effort that we are capable of meeting the clients’ order efficiently and in a timely manner. 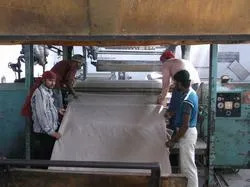 The quality controllers and supervisors of our organization have vast knowledge about the required quality parameters and standards and thus, they can execute the quality assessment procedure of our offered product range very effectively. The ethical business practices and transparent business deals followed by us make us a reliable and trusted business associate among our clients. An experienced and qualified team of personnel and a streamlined methodology have also assisted us in gaining our base of clients in the industry. Further, our premium quality products and customization facility have also assisted in providing optimum client satisfaction.